On Monday 17th, the first convey of trucks delivered fabricated steel to the project. The steel was unload and “racked & stacked” for the soon-to-begin- installation. More trucks will arrive on property in the coming days. Stay tuned for additional updates on our construction progress! Foundation work/progress continues this week. 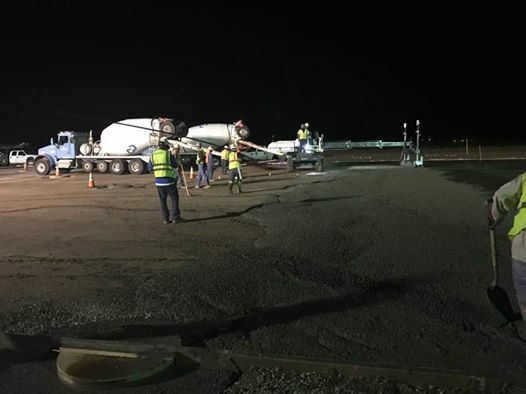 The cement trucks will be rolling onto the property again at midnight on Wednesday and Thursday. 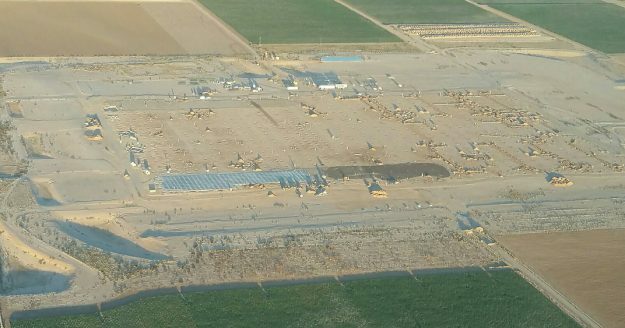 In the early hours of last Wednesday morning, the first 50,000 square feet of the concrete slab was poured. 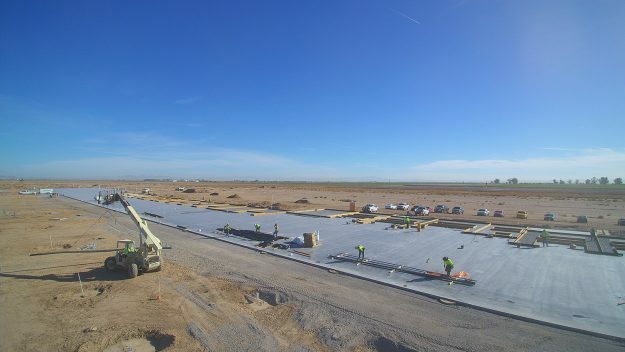 This will be followed by another pour of 100,000 square feet in the next few weeks.